Blog material: Japanese diapers characteristics : Merries and Moony. We have been trying so many brands of the diapers to the moment when our daughter was 2 years. We got acquainted with such brands as Pampers, Libero, Goon, Merries and Moony. I didn’t buy Moony for a long time because they are the most expensive from all Japanese diapers. 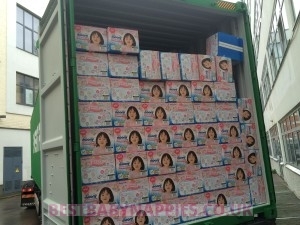 By the way, I was totally satisfied with Merries, but once I couldn’t buy Merries because they were unavailable for shipping and I decided to buy Moony diapers. 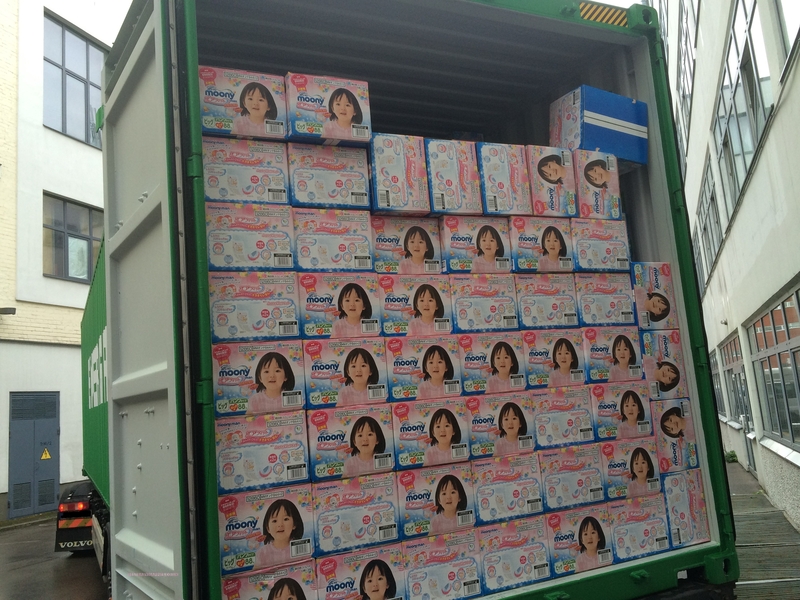 The first characteristic trait that I have mentioned was rather small pack in comparison with Merries diapers, despite there was a typical number of diapers – L size, 44 items. – A great anatomic shape. The diapers are very similar to common pants. They are so thin so wearing them the baby doesn’t feel the diapers, they are like underwear. -The diapers are made from soft material so there is no any irritations and prints on tender skin. -Convenient shirring in the waist and legs area is tight enough to prevent from leakage but they don’t pinch and graze the skin, thus allowing your baby feel comfortable. -The inner layer is soft because it’s made from natural material. -The diapers have fullness indicator. -The moisture is evenly distributed, preventing from lumps. -The diapers are equipped with soft and wide elastic band. -The diapers have great absorbency, they are always dry. I am not afraid to wear one diaper for the whole night. -An awesome design! My baby and I like it so much! We are confident that Natural Moony can meet the requirements of our customers, who want to select diapers using natural, safe and high-quality materials, just like when selecting food and cosmetics.